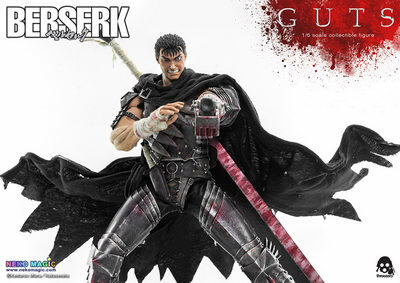 December 14th, 2015 By: GGT Category: 2016/08 release, Figure News. 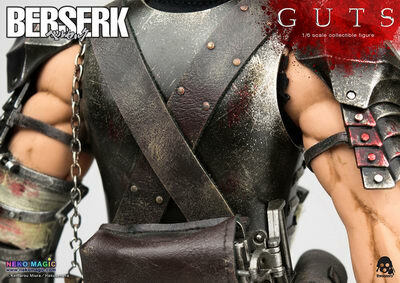 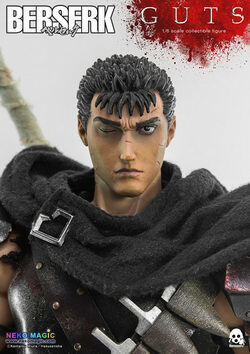 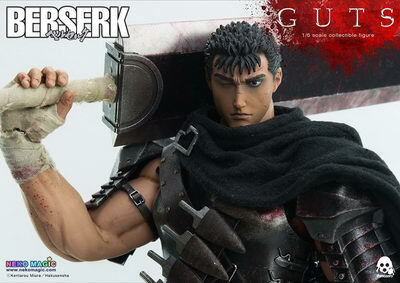 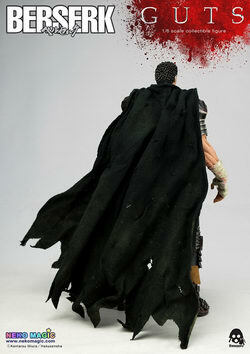 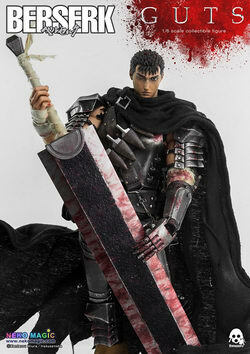 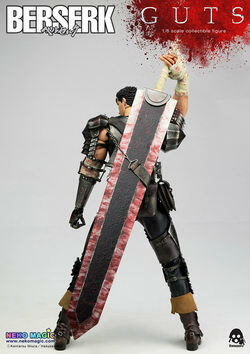 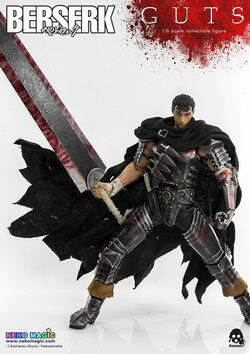 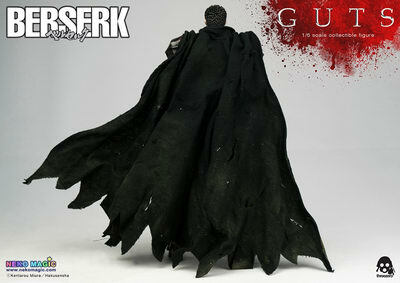 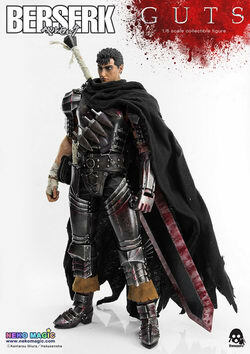 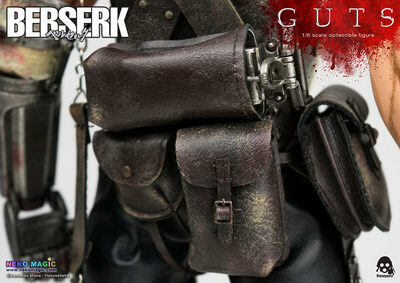 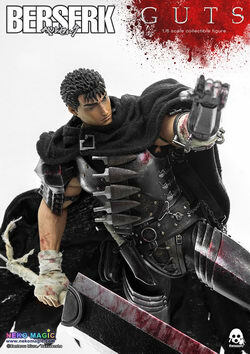 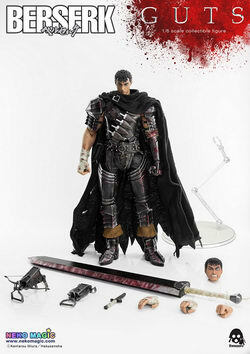 threezero is going to release the Berserk Guts ( ベルセルク ガッツ ) 1/6 action figure from the manga/anime “Berserk” ( ベルセルク ). 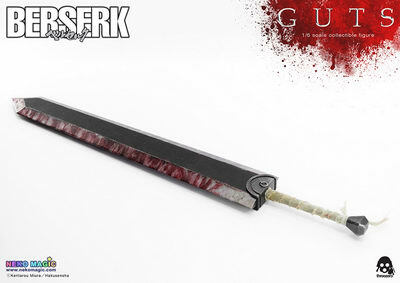 Will be released in Q3 2016. 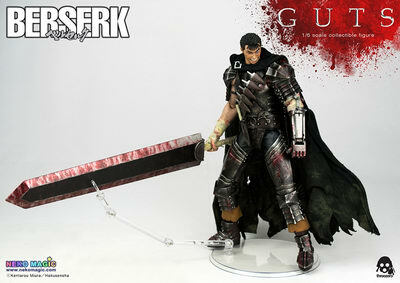 Around 12.6″/320mm tall, US$230/HK$1790. 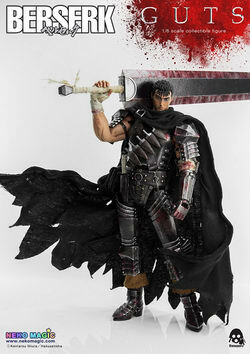 So far I can only find this Berserk Guts figure at the threezero store. 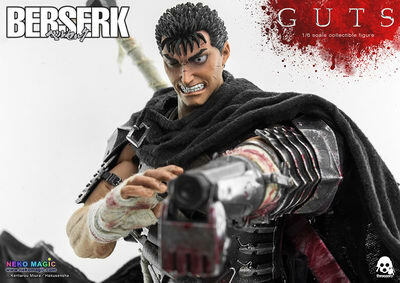 It might be threezero exclusive but in my past experiences I think it will be available at the other stores a few days to a week later. 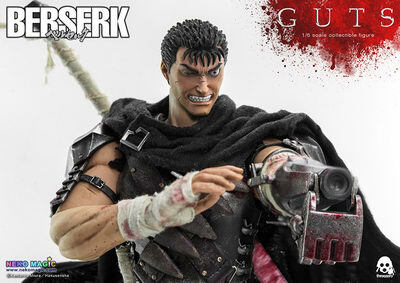 But for those of you who don’t want to wait or you want to get free shipping, you can pre-order him at threezero store HERE. 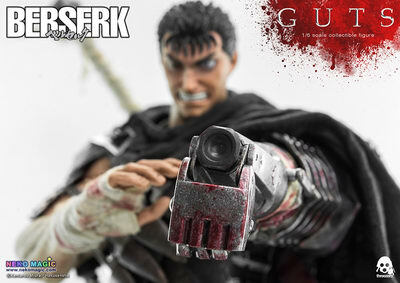 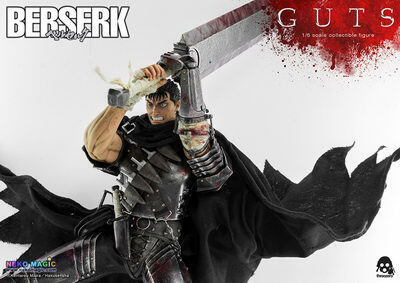 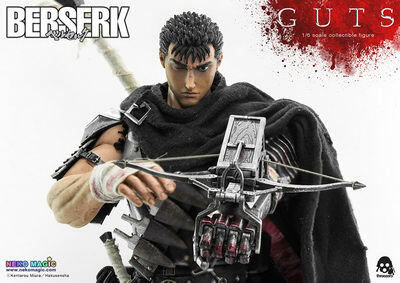 After many month of work we are very excited to finally announce all the details and pre-order date of 1/6th scale Berserk Guts collectible! 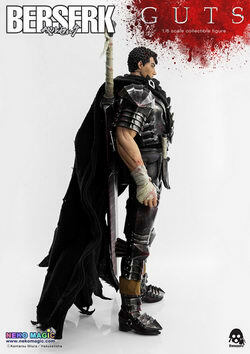 It will be offered for pre-order at threezerostore.com for a limited time beginning on December 14th 9:00AM Hong Kong. 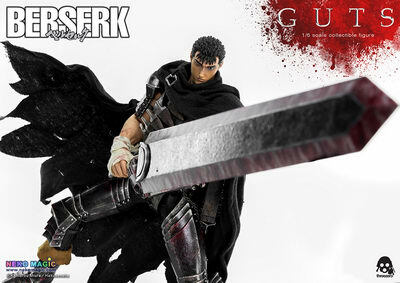 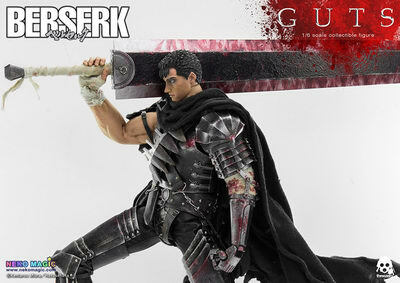 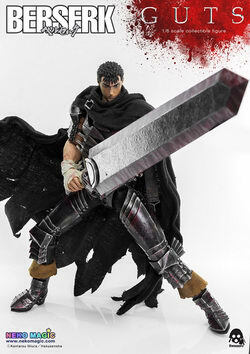 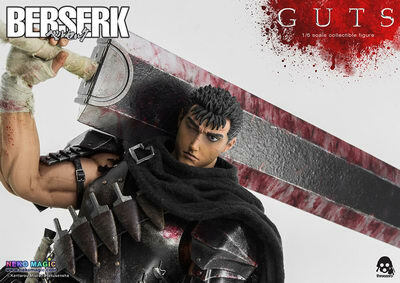 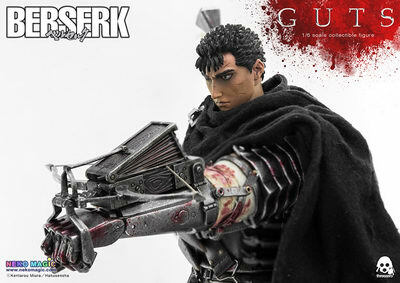 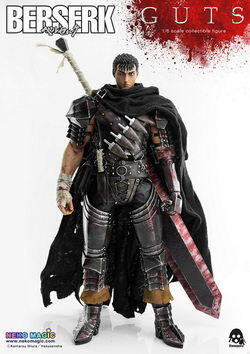 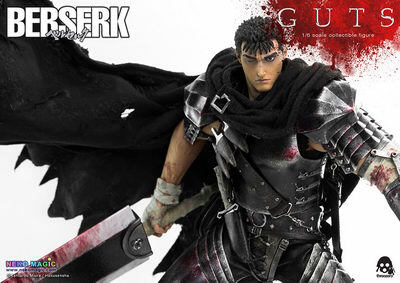 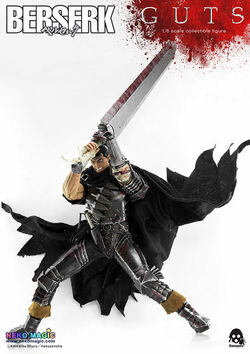 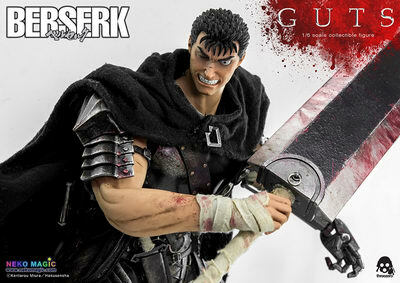 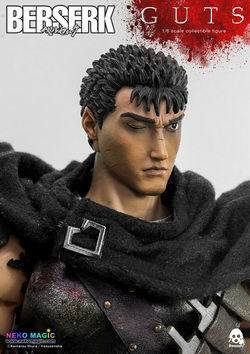 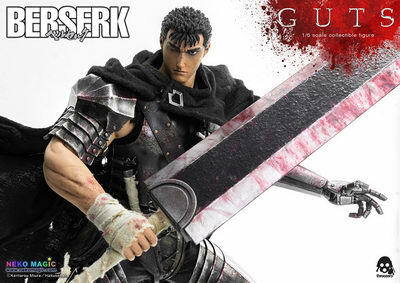 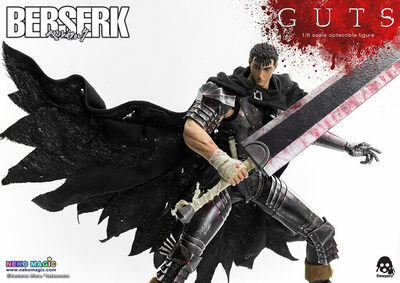 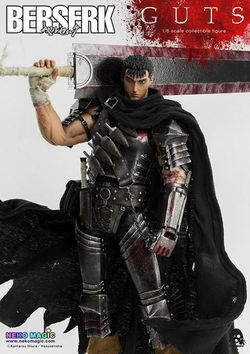 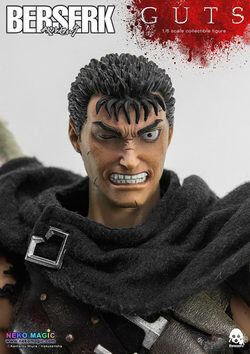 Berserk Guts price at threezerostore.com is 230USD/1790HKD with worldwide shipping included in the price. 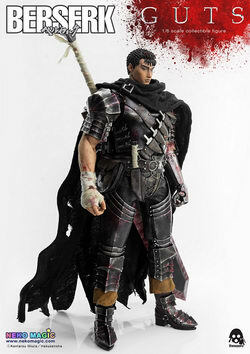 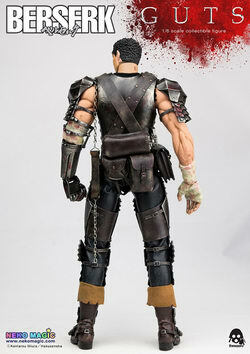 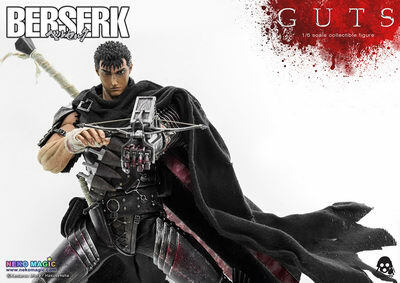 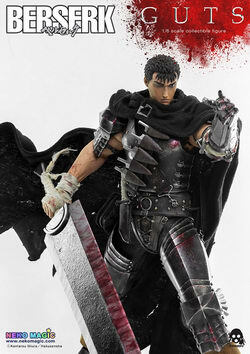 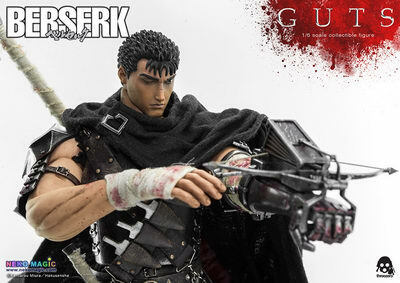 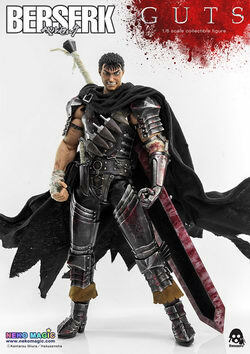 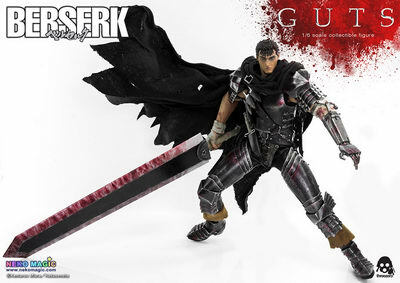 Guts is s created with very close attention to details and features highly detailed costume with armor elements covered with blood and weathering; PU leather belts with various gear; two exchangeable heads and several right hands. 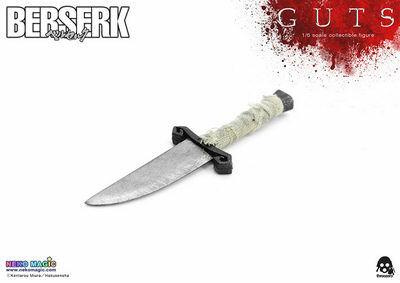 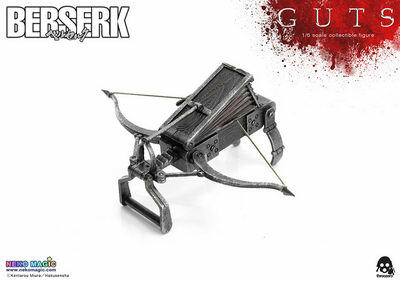 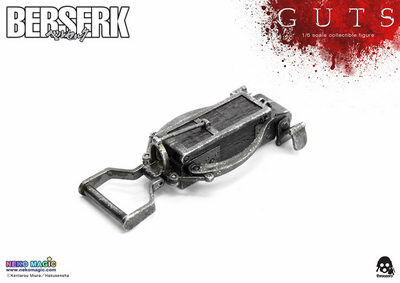 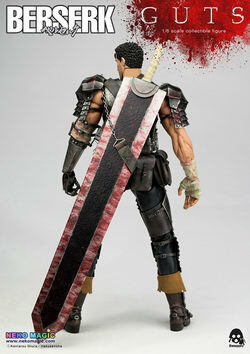 Collectible comes with the following weapons: massive “Dragonslayer” sword, Crossbow, Dagger and five Throwing Knives. 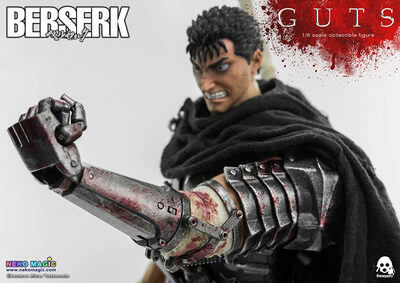 Guts right arm features seamless elbow joint and comes with adjustable figure stand to display your Guts in different poses.